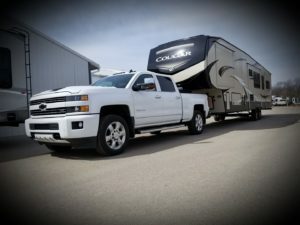 We started researching our “perfect” selection in a 5th wheel late last fall (2017) we embarked on this journey by watching countless videos on YouTube showing different features and brands of various 5th wheels. 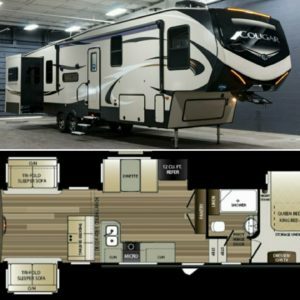 We chose a Keystone product because they had outstanding reviews and customer satisfaction. I will address the actual production opinion in a different post. 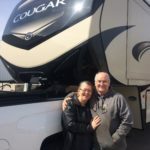 Some may ask “why a 5th wheel and not a travel trailer” for us personally, Bruce drives semi for a living and is very experienced in that world, he felt it would be safer for us to have a 5th wheel. Stay “tuned” for more to come….